Home // Fashion Clothing Collections // The Resurgence Of Men’s Sweatpants? The Resurgence Of Men’s Sweatpants? The London Olympics played a huge part in establishing sportswear as a major trend throughout 2012, and these sporting influences have been well chronicled on FashionBeans across the last two seasons. From a breakdown of the key sportswear pieces for SS12 to an AW12 sports luxe update, we’ve been on the ball throughout (so to speak). However, one previously disregarded item that has roots within the world of sport has made a quiet resurgence in this climate of sporting awe. Despite being tarnished with an awful reputation over the years due to the so-called ‘chav culture’ and other social stigmas, are sweatpants now – gasp – wearable? 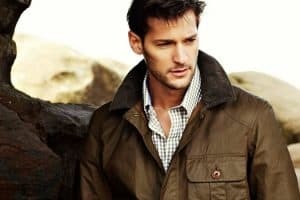 Before we start, and you scroll manically to the comments section, we should state that regular readers will already know that here at FashionBeans we encourage you to develop a refined, timeless and classic wardrobe that will transcend fleeting trends and seasons. For the majority of well dressed men, sweatpants will never be a consideration, and may even verge on blasphemy – but every piece has a time and place. We will not be trying to persuade you to insert sweatpants into outfits where you would traditionally wear chinos or jeans. We will, however, be showcasing a number of ways you can style them in a modern way, for a variety of scenarios. Whether you choose to invest in, or avoid, sweatpants after this article is, of course, totally up to you. Sweatpants are (and always will be) a casual piece. They are the ultimate in cool comfort, so keep the rest of the outfit suitably dressed down – but most importantly, not sloppy – for a day of errand running or just laid back lounging. A t-shirt and some stylish knitwear is the way to go here, and a jacket or coat can easily be layered over the top if the temperature isn’t on your side. The key to a successful sweatpant based look is your choice of footwear and the break of the trousers. You do not, under any circumstances, want the sweats to be pooling around the hem and drowning your shoes. Gone are the days of baggy Nike ‘trackies’, modern fashion versions favour a slimmer cut and tapered leg, which helps eliminate pooling. In terms of length, they should hit just above the shoe. Cuffed sweatpants (those featuring an elasticated hem), unlike their hideous jean counterparts, actually help keep the silhouette fitted and smarter in this instance. Your footwear should be kept casual, so opt for a grown-up leather trainer or desert boot. A pair from a sporting heritage brand such as New Balance will reinforce the desired aesthetic without looking too much like you’ve just finished your workout. Whilst sweatpants needn’t be resigned to strict sporting activities, they remain sportswear in the more literal sense. New relaxed attitudes towards sweatpants mean they are just as appropriate going to and from the gym, as they are workout attire. Pairing your sweats with the aforementioned sneakers and other key sports luxe pieces will help create a super stylish gym outfit. A polo shirt and well-fitting, luxury hoody creates a solid base, whilst a leather sports bag is a practical addition that finishes the look off perfectly. Depending on preference, you may want to drop the polo when actually engaging in physical activity, but for travelling it will help take the sweatpants up a notch. Why not juxtapose your joggers with a knitted blazer for a challenge on strict sweatpants rules? Prominent fashion writer Mr Derek Blasberg has previously mentioned his penchant for pairing sweatpants with a shirt and tailored jacket. While this look is the ultimate in high/low contrast, it has more than the potential to work. However, it can be made much easier by swapping the tailoring for something a little more unstructured. A simple, casual white shirt is a great way to smarten up the look whilst keeping it relaxed; a t-shirt could also work here though. Finally, a pair of hi-top trainers is the perfect accompaniment to the plethora of casual elements on show. This fourth and final look takes its inspiration from The Kooples Sport AW12 lookbook. By pairing your sweatpants with heavy boot socks (tucked in of course) and boots, you can channel the brand’s sleek silhouette. Try opting for a roll neck on your top half, which is both on trend and in keeping with The Kooples refined, smart-casual aethetic. Layer a parka over the top and accessorise with some knitted gloves to really keep the cold at bay through the last of the winter season. Gone are the days of sloppy sweatpants. A shift in attitude towards traditional sports inspired pieces, combined with a new tapered leg and modern cut, has finally made them wearable – for certain situations and occasions. Have we convinced you that sweatpants have more than a lounging role to play in your wardrobe? Or are you still sure they should be bound to the home and the gym? Will you be investing in some slim sweats? If so, how will you be styling them?